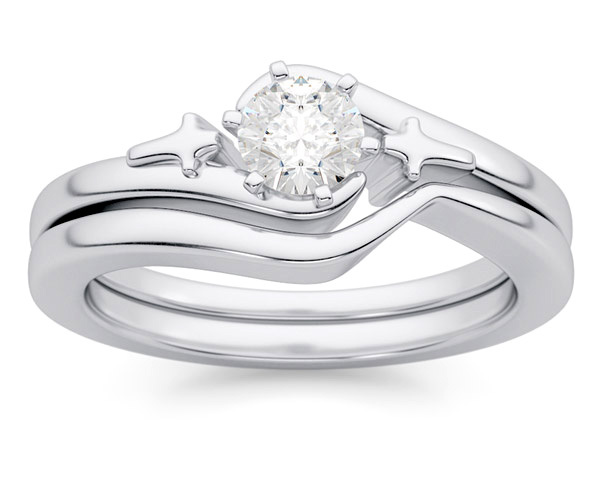 God should be at the center of every marriage, and you can honor Him in matrimony by wearing a Christian engagement ring with a cross on each side of the wedding ring in 14k white gold. The engagement ring is set with a 0.33 carat diamond solitaire and a bridal band to match makes this one of the most unique diamond bridal wedding ring sets available. The center diamond features a white 1/3 carat (0.33 carats) in a high H Color, SI2 clarity quality. Also available with a matching men's wedding cross wedding band (shown below) or the set can also be purchased in yellow gold. 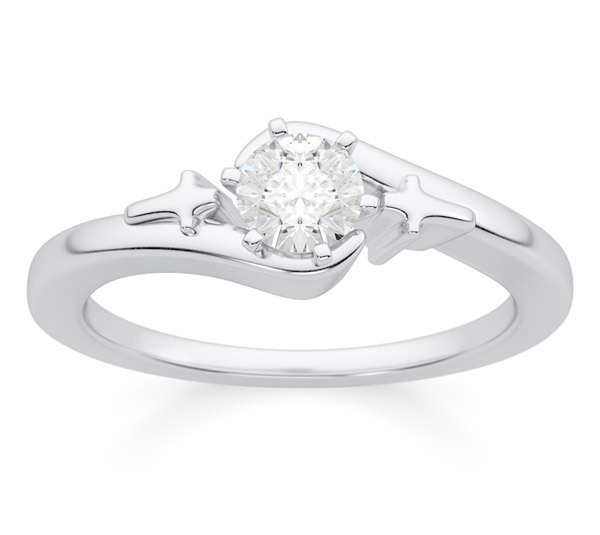 You can also choose the individual engagement ring instead of the bridal set, if you prefer the diamond cross solitaire by itself (also shown below). Either way, this is a one-of-a-kind find that you can cherish all the days of your life, while praising God for His steadfast love through the ups and downs of your marriage! Apples of Gold Jewelry guarantees the Diamond Cross Christian Wedding and Engagement Ring Set to be of high quality and an authentic engagement ring with real diamonds, as described above.